Centurion, written and directed by Neil Marshall, paints a picture of the disappearance of the Ninth Legion, or the Ninth Hispana. With a star-studded cast, including X-Men’s Michael Fassbender and Game of Thrones actor Liam Cunningham, it is set in 117 CE in the lush Scottish Highlands. The people who lived there are called the Picts. 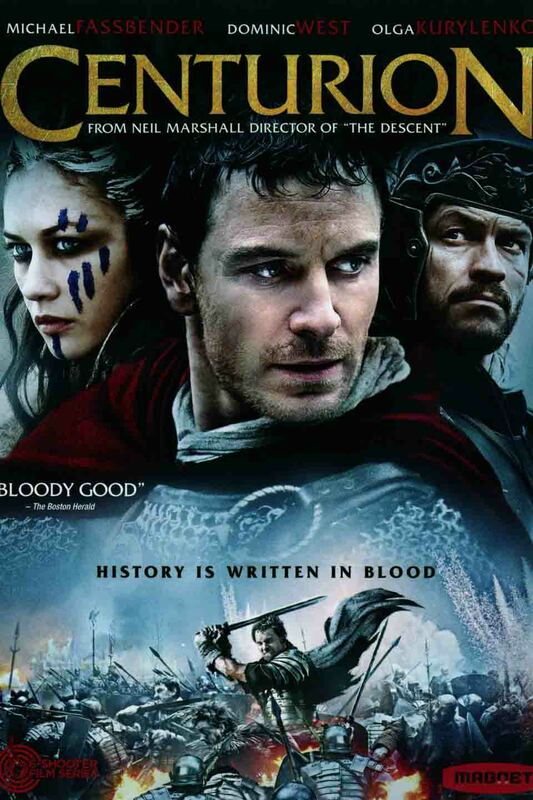 The film follows the life of Quintas Dias, a Roman centurion stationed at a garrison in northern Roman Britain. Quintas and his comrades are trying to contain the Picts, who are employing guerilla warfare against the Romans under their leader Gorlacon. In response to the garrison being attacked, General Hadrian decides to dispatch the Ninth Legion to defend the north. He sends a mute Pict scout, named Etain, with them. Once the Ninth Legion get far enough north, they are ambushed by the Picts and decimated. Of the few men who survived, Dias is among them. They go after their captured general but fail to rescue him, so they escape south. With Etain on their heels, the group splits up, and Dias and others end up at the house of a Pict outcast, Arianne. She protects them from Etain and then they head south to a garrison. When the men arrive at the garrison they find it empty with a sign saying that General Hadrian has recalled the troops to a new southern defensive line. Etain catches up with them at the garrison and a fight ensues. One of the men kills Etain. They run off to General Hadrian’s new encampment in the south. Dias’ companion is shot because he is mistaken for a Pict. The general meets with Dias and decides to leave the fate of the Ninth Legion a mystery by killing Dias. Dias is obviously not down to die so he runs off to Adrianne, with whom he’s apparently fallen in love. The movie ended and I was confused. All the running around and the hasty love story are confusing! Critics agreed with me. They felt that the film was a blatant reference to the guerilla warfare in Iraq and Afghanistan against the American troops at the time of the film’s release in 2010. Critics enjoyed the cinematography of the film, but felt that the violence took over an underdeveloped plot. Audiences, on the other hand, really enjoyed it! The ones that watched it, I mean. The film had a budget of 12 million and only grossed a little over 6 million worldwide. The audience reviews I read were from big history buffs, in particular Roman history. While this film doesn’t seem to be for everyone, the famous disappearance of the ninth legion seems to interest many. The reasons behind their disappearance, at least what we can glean from Roman records, have been explored in tv shows and novels, including a popular Doctor Who episode, as well as Rick Riordan’s Percy Jackson series. Coincidentally, Noel Clarke plays one of the survivors of Ninth Legion, as well as the popular character Mickey in the Doctor Who television series. Now for a movie set in such a period, there is always the question of what aspects of the movie are historically accurate. The Romans did have garrisons posted in northern Britain at this time and had been involved in skirmishes with the Picts. In 84 CE, the Romans won a battle against the Picts. The Legion’s last recorded Roman activity was the building of a stone fortress in York in 108 or 109. There still survives today in a York museum traces of the legion: an altar, tombstone, and commemorative tablet with mentions of members of the Ninth Legion. An inscription from the reign of Marcus Aurelius (161-180 CE) sums up the activity of all the legions under his reign and the Ninth Hispana is missing. Many scholars use this as evidence that the legion was destroyed before his reign. There are two theories as to what happened to the Ninth Hispana. Some scholars believe that it was destroyed by the Picts sometime around 117 CE, as depicted in the film. Others believe that the legion was transferred to the Rhine, as there is some surviving evidence of officers that served after 122 CE, when the building of Hadrian’s Wall commenced. The disappearance of the Ninth Legion is still heavily disputed by scholars and we may never know what truly happened to them. 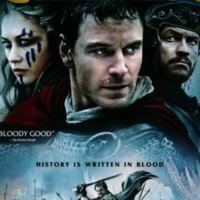 Rachel Blackburn, “Centurion (2010),” Medieval Hollywood, accessed April 24, 2019, http://medievalhollywood.ace.fordham.edu/items/show/8.